In the aftermath of the tsunami in Japan, many of us are anxiously waiting by the phone in hopes of hearing from our family and friends. 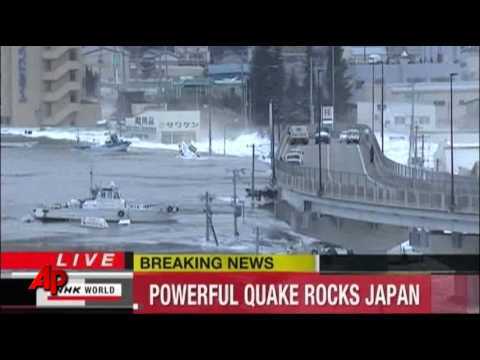 One of the cities effected by the tsunami was my hometown, Kamaishi, in the Iwate prefecture. Kamaishi is a small city by the pacific ocean, with a population of about 40,000. The city's website is currently down, as both City hall and the Police office were hit by the tsunami. Quite a few policemen are missing. 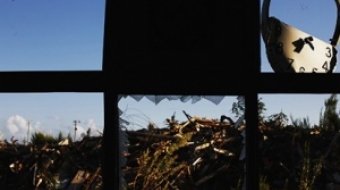 Footage of the disaster in Kamaishi was televised globally. When Chile suffered an earthquake in 1960, Kamaishi was hit by a tsunami. 142 people were killed in Japan as a result of the disaster. The biggest tsunami disaster, however, was in 1896. 4000 people were killed out of an estimated 6500 population. Kamaishi was prepared for a tsunami, and had a huge wall between the bay and town. I've never seen something like that in Vancouver. The government spent about $1.5 billion dollars for this concrete wall, which was completed in 2009 to help provide safety from future tsunamis. After the wall was built, the waves in the bay became peaceful, like False Creek. When I first moved to Vancouver, I was shocked that people buy waterfront properties, especially because those houses aren't cheap either. In Kamaishi we would never do that because of tsunamis. I was browsing the Internet when I was alerted to the huge earthquake in Japan. I tried to call my parents, but the phone just rang until I was cut off. After repeated tries, my phone could no longer even connect to Japan. Since then, I watched the news through Ustream, while constantly checking twitter and Mixi (a Japanese version of facebook) at the same time. The newspaper and television couldn't provide details at the same speed as the Internet. I was desperate to know whether my family was okay, as well as the details of what happened to my hometown. I finally reached my sister through text messaging. She lives about eight hours away from where the tsunami occured. 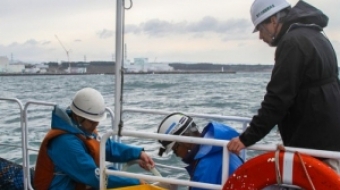 The following day of the tsunami, I was shocked over what kind of damage Kamaishi experienced. My fears really started to set in. By using social media, I knew that the entire city had no electricity, gas, landline, and mobile services. The weather enters into minus degrees in the mornings -- it gets pretty cold. A friend mentioned that he got a phone call from his parents. A free emergency phone was made available to citizens so they could call friends and family. There was very long line ups. I called a couple my relatives in Japan to prepare that call because if my parents could not reach anyone, they would have to line up again. The emergency phone is just a five minute walk from my home, so I had hoped that my parents would call me that day. To my surprise, that didn't happen. The next day, three other emergency phones were provided, and more people tweeted that they had heard from their family. Again, I did not receive a call. At last, I received an e-mail from my sister that she had briefly spoke with my parents yesterday. They talked for five seconds before the battery died. I was ecstatic, but after speaking with my sister further, we were suspicious that are parents were injured and unable to move. Our parents did not use the emergency phone, which is surprising because they are such a short distance away from it. They have two cars, and if they were healthy, they would be able to drive to my sister's place. Many people in Japan are traveling to safer locations. Despite my fears, at least I know that they are alive. Within the last couple of days, I've realized that people in and around Kamaishi are in the dark about their circumstances. In Tokyo, LA, or Vancouver, we all have more information than they do. I know someone that got an e-mail from her mother saying, "if you can, please send batteries and food." We would love to send those things as soon as possible, if we could. But we can't, because even if we send it, our friends and family would not receive these supplies for quite a while. I don't think the people around Kamaishi know how bad their situation is. For example, around the world we know how many emergency telephones are located within the city, how many supermarkets are open, and which parts of the town have been separated. These are all things that many of my friends and family do not know. 92 hours after the tsunami, a 70 year old lady was found inside a crumbled house. I'm frantic that many friends and family are still missing -- my friend had her house wiped out and she is still missing, and my friend's parents are missing. In the meantime, I'm searching for the names of missing people and calling relatives and friends. I would love to help more. My thoughts are with my hometown in Japan.